Muslim Matrimony for Professionals FIW-MMP© Info. Does the use of inhaler break the fast? Post-mortem, also known as autopsy, is a detailed examination of a dead body to try to determine the medical cause of death. A post-mortem examination will be carried out if requested by the coroner or a hospital doctor. If a post-mortem is requested by the coroner the next of kin are not asked to give consent (permission) for the post-mortem to be carried out. The coroner is a judicial officer responsible for investigating deaths in certain situations, deaths which are unexpected, violent, unnatural, suspicions, as a result of an accident or injury or occurred during an operation or soon after an operation. The post-mortem is carried out as soon as possible, usually within two to three working days of a person’s death, sometimes even earlier, by specially trained doctors called pathologists. The post-mortem involves removing major organs from the dead body, such as the heart and lungs, on occasions it make be necessary to remove the brain as well, for examination to try to determine the cause of death. In around 20% of adult post-mortem examinations and in most paediatric post-mortem examinations, the cause of death is not immediately obvious. A diagnosis can only be made by retaining small tissue samples of relevant organs for more detailed examination. Organs or tissue samples may need to be sent to specialised units for further analysis. When the post-mortem examination is complete, you will be told whether tissue samples and organs have been retained. In cases where cause of death cannot be easily ascertained the post-mortem can take several weeks to complete. After a post-mortem, the organs are returned to the body, the pathologist writes a report of the findings. If the post-mortem was requested by the coroner, the coroner or coroner's officer will let you know the cause of death determined by the pathologist. Digital autopsy or digital post-mortems are available which obviate the need to perform the traditional invasive post-mortem to try to determine the cause of death. Digital autopsy involves the body undergoing medical scanning (CT scan or MRI scan). 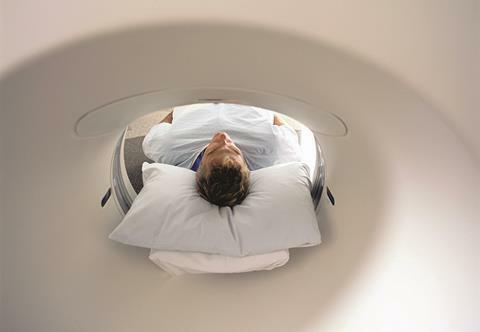 The CT scan takes only minutes to perform. The digital data obtained form the CT scan is used to create a 3D image of the whole body. Using special software specially trained radiologists can examine the digital reconstruction of the dead body identify the cause of death in more than 70% of adult cases. The cause of death identified by the radiologist from the scan has to be accepted by the coroner’s pathologist before a medical certificate of cause of death (MCCD) can be issued. In England and Wales for a digital autopsy to be carried out it has to be sanctioned by the coroner involved with the case. Unfortunately, some coroners do not “believe” in digital autopsies and insist on the traditional invasive post-mortem approach. A truly sad state of affair in this age of digital technology. This may be partly due to the fact that the vast majority of coroners are solicitors by training rather than doctors. In a High Court ruling in 2015, Mr Justice Mitting, stated that an invasive autopsy should be avoided so long as there was a “realistic possibility” that a non-invasive autopsy would establish cause of death. If you wish your dead relative to have a digital autopsy rather than the traditional invasive autopsy (post-mortem) you need to make a request to your local coroner that you wish to have a digital autopsy. A digital autopsy will be performed if considered appropriate. Currently, the bereaved family must pay for the digital autopsy themselves, where as the local Council pays for the pathologist for traditional invasive post-mortem. The only exception to this is Sandwell Council which pays for its residents undergoing digital autopsy. In cases where the digital autopsy cannot identify the cause of death then a traditional invasive post-mortem will be necessary, however, in some cases the digital autopsy will provide useful information to reduce the invasive post-mortem to a minimum. © FIW 2017. All rights reserved.